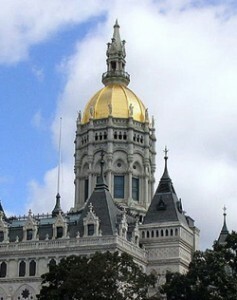 The 2013 Town & Legislative Breakfast for Capital Community College (CCC) will be held on Wednesday, February 27th, at the Legislative Office Building’s Dining Room, 300 Capitol Avenue. Legislators in CCC’s primary service area and town officials have been invited and will join President Wilfredo Nieves, students and alumni in a discussion of college access, student achievement and workforce training issues. The impact of new programs will be shared as CCC marks a decade of growth at the downtown campus. Information on the College’s current budget and legislation related to community colleges in the 2013 session will also be provided. The breakfast will be held from 8 a.m. to 9:30 a.m. with doors opening at 7:30 a.m. For more information contact the College’s Advancement office, 860-906-5102 or E-mail jmcnamara@capitalcc.edu. Seating is limited and RSVPs are required. The breakfast is sponsored by the CCC Foundation & Advisory Council.